Here is what our students have to say about training with us. David was excellent! I am a true beginner and I would recommend him to anyone. Will definitely be booking more courses in addition to the CWP. Great course! David was a great instructor and thanks to his class I was able to apply for my CCW the very next day. Thank you! thanks David , I would recommend this course to everyone. Excellent course. David was a true professional. Everything was very easy to follow. I would recommend this course to everyone, from beginners to experienced users. I took the certification course with my youngest son and it was a positive experience for us both. David presents the material in such a manner that he educates while building a level of confidence. His professional knowledge and personal demeanor are exactly what we needed for our educational experience. 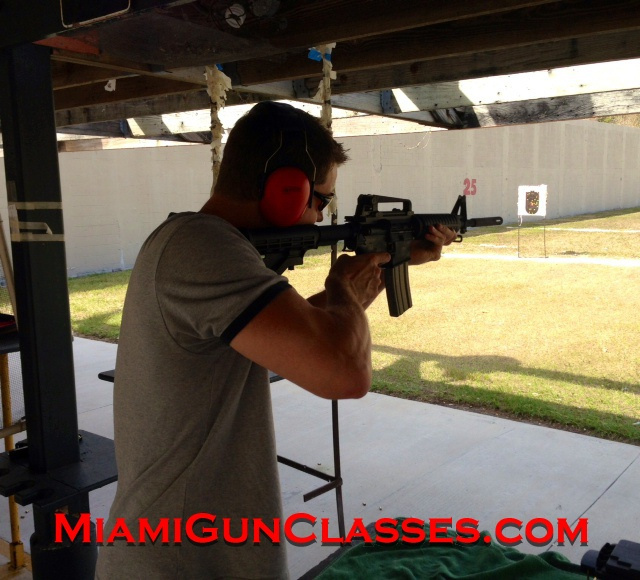 My other son will be taking the course with him this weekend and I will be recommending David and Miami Gun Classes to others. Thank you. 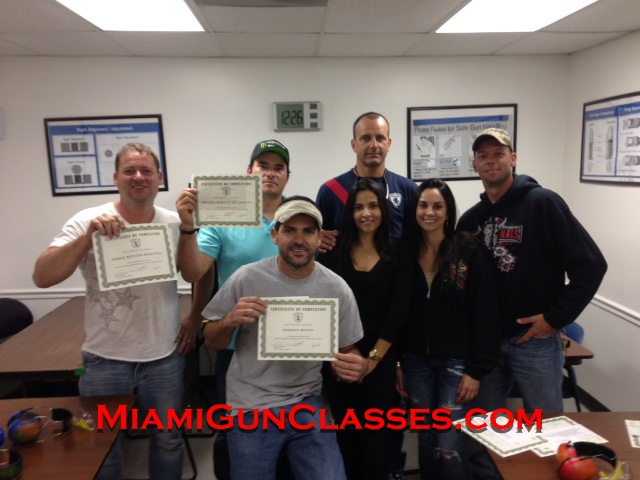 I got my concealed carry certificate with miami gun classes and was very satisfied with the entire process. Our instructor David was not only knowledgable and extremely professional but also quite animated and full of real life scenarios and advice. I would highly recommend this class my family and friends. AAA+++ You Mr. Von Matt made this class not only entertaining and highly informative but somehow, inspiring, Thank you I've learned a lot and I will not hesitate for a second to recomend you. I brought my wife to David for her initiation to the world of pistol shooting. She had never held a gun before and was terrified of even the thought of firearms. David walked her through the basics and then on to the firing range. 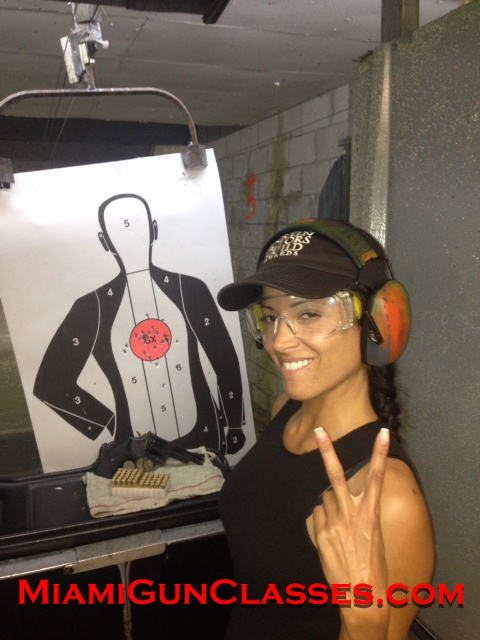 I was amazed how fast she caught on and was soon shooting my Sig Sauer P230 with conviction. David is an excellent instructor and I would highly recommend him. David von Matt is simply AMAZING!! My experience with the concealed weapon permit class was excellent. David is a very down to earth guy with professionalism, knowledge, and experience underneath his belt. I will definitely like to learn more from him later in the future. Thanks David, and keep up the good work. Nice spot, I will recommand it to my friend for sure! Special thanks to David the best trainer, i've had!!!!! Thorough course concentrated on gun safety essentials combined with David's awesome presentation style resulted in my passing with flying colors. He was able to fit me into his schedule on last minute notice. All questions I had were answered and explained in depth. Overall I find this course extremely useful. Mr. von Matt exceeded my expectations in his thorough and patient approach to future permit holders. I'd definitely recommend this course and give it a rating 5 stars of 5. David was very entertaining through out the whole course he did a great job explaining everything u need to know when concealing a fire arm. He answered all my questions, gave me tips, and a lot more experience than when I came in the door. I highly recommend David he was GREAT! David was great!!!! He made the class both interesting and dynamic. He has lots of knowledge and will give you the best advice when it comes to what to purchase (without pushing a specific gun to make a profit!!! Very important). You will get a sincere advice from a trustworthy and sincere guy!!! I took your CWP class, and i have to say it was very informative and entertaining. I just wanted to thank you for such a fun and great learning atmosphere.